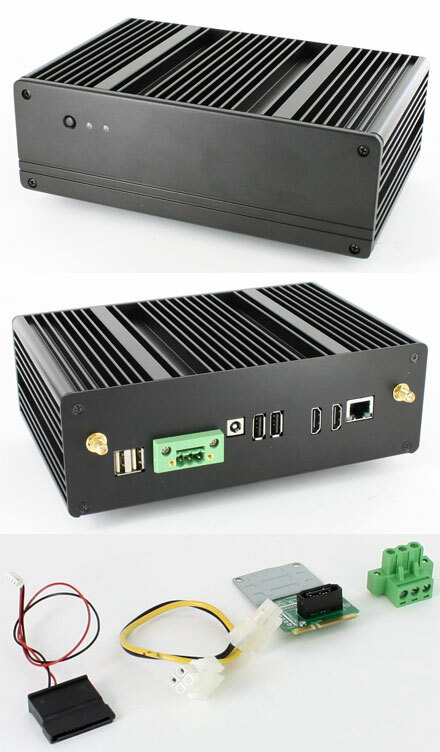 This new enclosure enables a fully fanless working CarPuter when equiped with Intel D33217GKE or Intel DCP847SKE NUC mainboard. Perfect as a CarPuter, HTPC or Server applications. The included mSATA-to-SATA adapter card enables you to integrate a 2.5″ HDD/SSD drive. The (optional available) DCDC-USB converter allows using the system as a CarPuter.